Bullying is a serious problem in our communities. Unfortunately this fact is still a sensitive subject which is not discussed widely enough in the educational sector. The harsh reality is often overlooked and consequences are often not recognised as symptomatic to the constant harassment, peer pressure and victimisation which some children and teens experience on a daily basis. It is a known fact that this kind of victimisation affects and threatens any child's (and the family's) health and well-being. Often this occurrence is not acknowledged as such by well-meaning members of the family and friends or even educators who often refer to bullying as 'boy's games' or 'this is just a bit rougher than the usual kids’ games’ or 'subjective feelings of insecurity'. Bullying is seen as repeated negative behaviour by a person towards another person. According to statistics presented by UCLA in 2014, more than 28% of all kids in grades 6 to 12 who were attending US schools reported that they had experienced bullying. This can affect children and adults alike, it can happen in schools, sports clubs, social clubs or at the workplace. Mostly, however, it affects children or persons who are seen as different in one way or the other and are thus seen as 'victim'. Ill-intentioned, aggressive behaviour is mostly directed toward these 'victims'. Bullying is mostly unprovoked by the 'victim' and shows a power imbalance between people. This imbalance is used to put pressure on the less powerful perceived individual and manipulation occurs. The forms of harassment range widely from quite subtle labelling or spreading of rumours and gossip to the manipulation of friendships as well as physical attacks. However, all these lead to physical injury and emotional distress. This impacts the daily life of all affected, children, teenagers, adults and their families as well as their social environment. 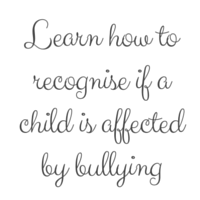 All involved, meaning the bullied person, the bully and the 'bystanders' have to learn how to recognise destructive behaviour as soon as possible to minimise the damages. So how do we recognise if your or another child, a pupil, a friend is being bullied? 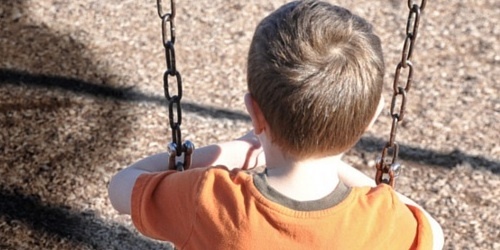 Children who are bullied often display different likes and dislikes or appear having changed their attitude and preferences towards certain people and activities. As parents we have encountered the challenges hurtful incidents in our lives presented to us and thus feel very strongly that parents should look out for these common symptoms and changes in their children's behaviour. may even seem to withdraw from their loved ones and act out on otherwise insignificant disagreements with their siblings and parents. In the safe environment of a loving home bullying victims often vent their anger and pain from being put under too much pressure at school, in the sports team or in other for them unsafe environments where bullying occurs. Actions have to been taken by the families of the bullied child, the immediate social circle, the school and wider community. Assess the school/club environment and conduct surveys among the kid's peers and leadership groups. Adopt an anti-bullying policy and observe enforcement of the rules. Enforcement of school rules as policies are often implemented but not enough enforced and rarely evaluated. Increase communication between all groups and improve cooperation between professionals such as educational psychologists, parent's associations, school staff and school leadership groups. 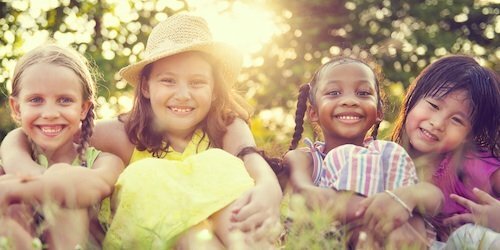 Introduce workshops for learners (and parents) and discuss problems and workshops for educators to increase knowledge about teaching behavior management techniques. Teach conflict resolution and anger management skills to improve problem solving strategies. Improve the self-esteem of all children - not only the victim, aggressor and bystanders of incidents - and focus on the individual development of special talent and strengths of all pupils to increase positive recognition of difference and diversity. Read more about embracing diversity in classrooms here. Stop this! - What you can do! How to assess for bullying? Regina Gräff is the founder and editor of ExpatCapeTown.com and Kids-World-Travel-Guide.com and co-author of the 'Living in South Africa' handbook. Born and raised in Germany, she has a MA phil degree in languages and intercultural communication. Regina is a serial expat and has worked as a teacher and educational consultant in various countries including the USA, Australia, Singapore and the UK. Since 2005, she lives with her family in Cape Town/South Africa.